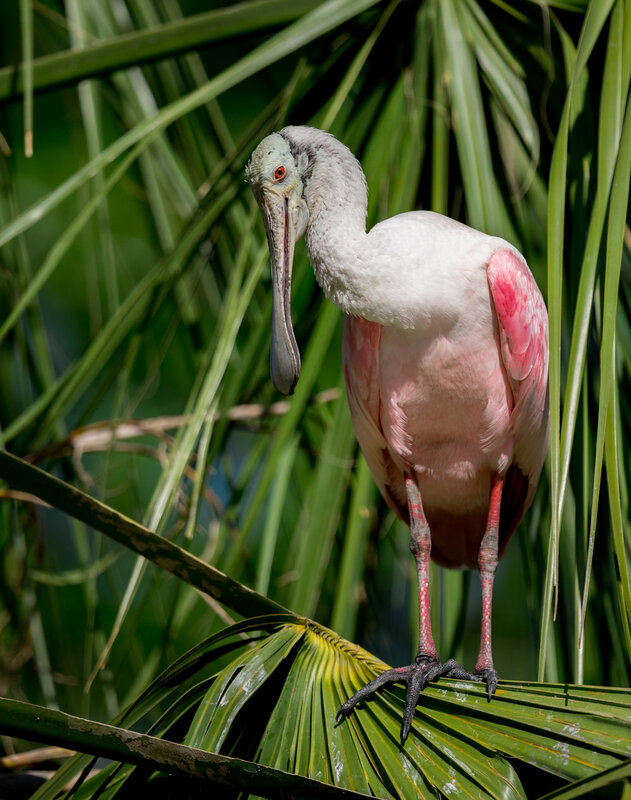 This photography workshop is a chance to see and photograph many different types of nesting wading birds night up very close that include: Roseate Spoonbills, Tricolored Herons, Little Blue Herons, Great Egrets, Snowy Egrets, Cattle Egrets, Wood Storks & Green Herons. Some of the nests are so close that you could touch them if you wanted to (though no one should ever do that!!). There are birds coming and going constantly here so there is a lot of opportunity for flight shots and to practice or learn more about birds in flight. The rookery at this location is in an alligator park (zoo) where the birds nest above the gators for protection from predators that would normally raid their nests. This also offers an opportunity to photograph alligators as well if you choose to. Being that it is in a zoo type environment, shooting from a boardwalk within the park, it makes for a very easy location to photograph that is also handicapped accessible. The downside of this is that we are forced to work with the parks hours BUT DON'T WORRY!! Built into the price of the workshop is a photographers pass that allows us to enter prior to the park opening and stay after closing. The pass also includes admission to the park and is valid for a year. The pass also includes 5 entries into the annual photo contest held at this location for a chance to win some money! Due to the fact that we will be at this location in late June, we will limit our shooting time to a few hours in the morning and then meeting up again in the evening. The mid day you will have the time to yourself to spend with family, do as you please or hang out all day in the park if you choose to. Prices include photography instruction in a very small group setting as well as the photographer pass to the park. Transportation and hotels are not included though can be arranged for additional costs if necessary. What to bring: Sunscreen!! I wear light long sleeve shirts and pants. Its Florida in summer!! For camera equipment this is a very convenient location that wold allow you to shoot with anything from a 70-200mm lens up to an 800mm lens. I personally use an 80-400mm lens and a 600mm lens though I find the 600mm is often way too much. This location does allow tripods so if you prefer to shoot with a tripod you can certainly bring it! Payment due at the time of reservation and is non refundable after June 10th 2018. If you have any other questions please let me know!